Hello my lovelies! If you've delved into the art of stamping with your nail art you may be aware there are new Pueen plates. I was not, but as soon as I came across them I knew I had to order them at once! They got here super fast and below are the results. Special Edition Encore 01-04 NEW Invention Set of 4 Double Sided All You Can Stamp Full Size Stamping Image Plates Manicure DIY (Infinite Images with Your Creativity) Now with Bonus Storage Case. Which seems like soooooo much info for a listing title, but at least you know what you are getting! 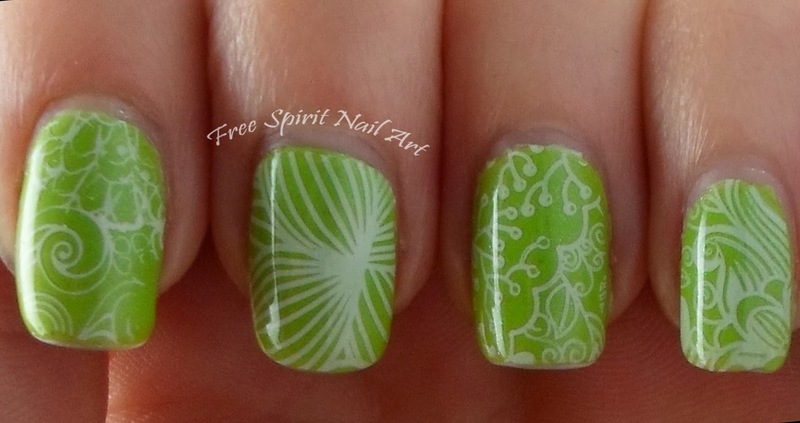 I used Sinful Colors Curry Up for the green and Sinful Colors Snow Me White for the stamping. I used bits from every plate except for SE03. 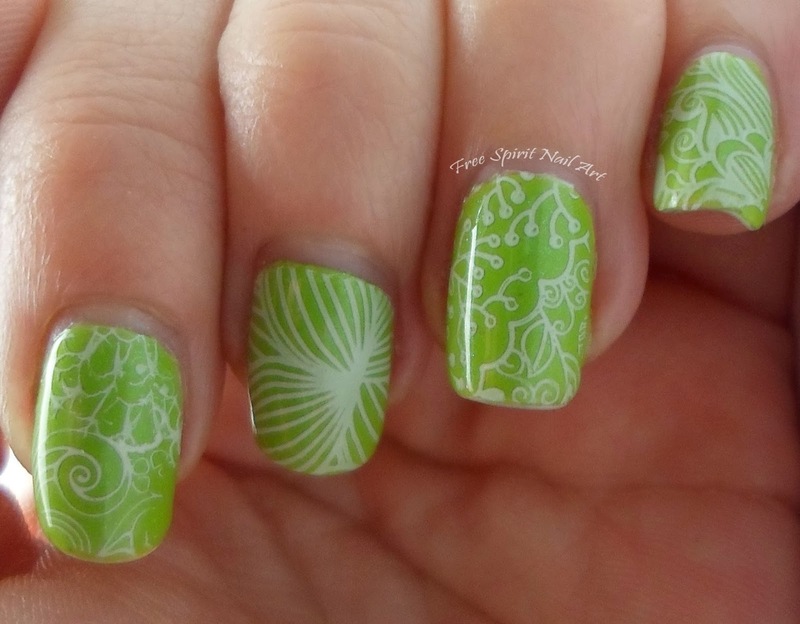 I love the new plates so far and there are endless options so keep your eye out for more stamping mani's soon! Thanks for looking and please share it if you like it!